132 Room Courtyard by Marriott. 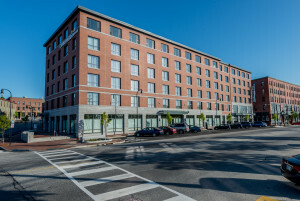 Close proximity to the waterfront, Gorham’s Corner and Old Port Historic District. On-site parking garage. The historic Gorham's Corner section of Portland is on the fringe of the Old Port, the water front, and Portland's Central Business and Financial Districts. It is adjacent to One and Two Portland Square, Portland's premier office.